The Best Self Defense Handgun! In today's world, there is no such thing as always being safe. This is why many people turn to carrying firearms. While most handguns for self defense are never fired, it's important to have the best self defense handgun possible. This will ensure that, should you need to fire the gun, it will be exactly what you need it to be - effective. Many guns can be bulky. Others have sticky triggers. For a self defense gun, you want something light enough to be able to carry with you and something that will release the bullet easily, should you need to actually pull the trigger. A sticky trigger is what will get someone killed. Having the need for a lightweight gun, especially women, will rule out several guns. You'll want something under 2 pounds. The Desert Eagle is a great gun, but weighs four pounds, so that one's out of the picture. The Colt M1911, while extremely accurate and reliable, weighs 2.5 pounds, so we'll eliminate that one as well. This leaves us with 3 guns that would fit the weight criteria for being the best self defense handgun on the market. A glock, a Smith and Wesson 442, and the Walther PPK handgun. Which one you choose is up to you, but should be based upon your comfort level of carrying and firing a gun. No matter what, hit a firing range once you choose your gun so you can practice in case you need to fire it. Best Self Defense Handgun For Men! For men, they may prefer the Walther PPK (above). Not only was it the gun of choice for James Bond, it is easy to conceal, but it has a chamber loaded indicator as well. It weighs in at only 21 ounces. It's preferred by men over women because it is a blowback operated handgun. Best Self Defense Handgun For Women! For women, a Glock can be quite comfortable (to the left). 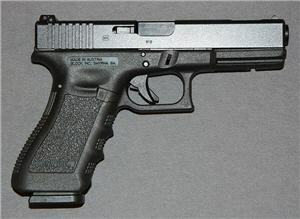 The glock 26 is just over 19 ounces and is semi-automatic. It's an ugly gun to carry, but it's reliable. They are excellent for women who are not used to handling guns because of the safety features. There is a firing pin safety, trigger safety and even a drop safety. 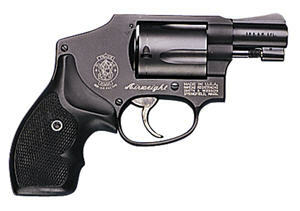 The Smith & Wesson 442 is referred to as the Airweight because it is only 15 ounces (below). It is great for someone familiar with firing a gun and is also used by law enforcement as their second weapon. It doesn't have a manual safety on it, but it does give off five rounds, which is quite a punch. Carrying a handgun can be the best way to feel safe. Should you ever need it for self defense, you'll want one that's reliable. A gun that's not reliable could cost you your life. The best self defense handgun is one that is lightweight and accurate. It will differ from men and women, as well as your overall experience with handguns. By no means is this the definitive guide to handguns for self defense. Every person needs to decide for themselves what the right gun will be. And the only way to figure this out is to give the gun a test drive at a shooting range. There are some 'best bets' if you just need to make a decision. And the information above should guide you. 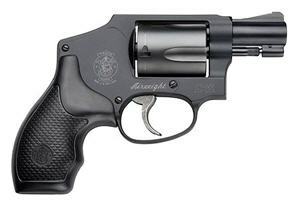 16 Best Handguns For Self Defense (Check out the gun called Taurus Raging Judge 28 Gauge. It's the coolest looking gun, but a little bulky).